I was thinking yesterday about how hard the journey is to learning to love the body you have. We aren’t born with judging ourselves or other’s bodies and sadly learn it; some of us devastatingly early. And there are hundreds, if not thousands of reasons we could list regarding how come our body wants us to be at our natural weight. For example, it alerts us by contracting or gurgling or have us think about food when we are hungry. It lets us know with gentle pressure when we are full and have had enough. Talk about the perfect system of “portion control”. If you can’t feel these signals, you may need some practice with eating enough to notice and slowing down, though they are there, waiting for you. What I also want to add in here is how not eating what we need (whether too much or too little) really DOES distract us from the life we are here to live. I think we all have some agenda for our lives here. Some of us are going to go on to have a mission; some to be parents and some of us to play in life like it’s a sandbox. Maybe a combo of all three. What I am saying is that you have to have the food work done to fully pursue those paths. Cause let’s face it, when you are worried about calories, body size, weight and exercise, you are never fully in your life and probably are missing messages from your inner core about what and whom is best for you and where you need to go and what you are here to learn about. Maybe heavy stuff, but needs to be considered. Okay, you might ask, my body needs me to eat from hunger and fullness eventually and weigh its natural weight, where do I start? 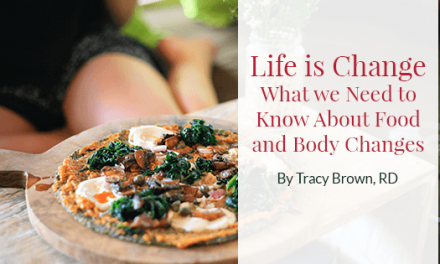 There are many great articles out there about loving and appreciating the body you have. Also some great books, such as When Women Stop Hating Their Bodies, Self-Esteem Comes in All Sizes and many others. It brings tears to my eyes when I think of the enormity of “this IS the body I have”. And because this body was paired with the mind and heart I have as well my strengths and weaknesses, I can’t imagine having anything else that would allow me to move forward in life more perfectly planned. This was the body my soul choose to inhabit to live out the reason for being. This body is the best my parent’s genetics offered at that very moment. And before you say, gee, thanks mom and dad, remember, because there is no inherent wrong body type, you really were made with a uniqueness that the fashion industry cannot subjectively judge. Their creativeness pales in comparison to the magic of the human body in all its diversity. I have an idea for you. If you choose to give it a try, the worst that will happen is, well, nothing will change. What would happen if for one week, you did one challenge with your food and one challenge with your mind? If you are struggling to stop eating when full or not eat as often from non-hunger, one challenge could be to just to give yourself a “time-out” prior to continuing to eat when you sense that you want to keep eating, but not sure what it is about. This time out is not a “you can’t eat” but a take-a-second to see if your body is okay with that and with compassion decide if you will be nice to yourself about continuing to eat or not. I would love to hear about how trying these suggestions out went for you. Feel free to share this with friends so they can get their comments answered too! PreviousWhat do we do with Weight Loss Wishes?